The US Department and its appointed claims administrator, Ohio-based Garden City Group, have announced a remission funds process involving the collapsed US-facing site Absolute Poker. The launching of the new site for this process (absolutepokerclaims.com) comes as GCG continues to put the final touches on its years-long settling of player claims associated with another pre-2011 US-facing site, Full Tilt Poker. The remission process involving jilted Absolute Poker players appears to be remarkable, involving a stretching of the remission rules to allow excess settlement monies originally supplied by PokerStars in its 2012 settlement with the DOJ to be used for this process. That settlement originally called for specific funds to be set aside for the Full Tilt remission process, with Stars receiving global rights for all of the original Full Tilt’s player base in exchange. As alleged in the operative forfeiture complaints and indictments in this case, the three online poker companies, including Absolute Poker, and their principals, conspired with one another, and others, such as payment processors who worked with multiple poker companies, to carry out the offense conduct that served as the basis for the forfeiture of the Forfeited Poker Funds. 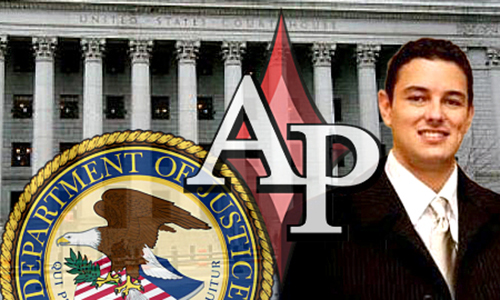 Additionally, the Department of Justice has concluded that players of Absolute Poker who were unable to recover their funds from Absolute Poker are similarly situated to the eligible victims of Full Tilt Poker, in that Absolute Poker, like Full Tilt Poker, did not maintain funds sufficient to repay all of its players. That victim claims process will begin shortly. Information about the claims administration will be posted on the dedicated website GCG has established in connection with the victim compensation process, www.AbsolutePokerClaims.com. Information is also available from the toll-free hotline number at (855) 907-3254. This aspect of the matter is being handled by the Office’s Money Laundering and Asset Forfeiture Unit. Elsewhere in the release, the DOJ notes that a bit more than $118 million has already been returned to Full Tilt players. A detailed breakdown of the $540 million settlement that PokerStars reached with the DOJ in 2012 shows that about $160 million was set aside for refunds by affected US-based Full Tilt players, while Stars agreed to assume responsibility for another $184 million to non-US Full Tilt players. However, more than $40 million earmarked for refunds for US-based players of Full Tilt was never refunded, and most of it never will be, at least according to the original plan. Perhaps a thousand or so Full Tilt remission applications remain under ongoing, individual appeal, but most of those claims are likely to be denied, in full or in part, due to various business relationships between Full Tilt and the appealling players. That $40 million (or perhaps a little less when the FTP remission process is officially complete) likely forms the core of the funds being earmarked for the AP remission process. It may be joined with smaller amounts seized from various business entities and individual accounts associted with Absolute Poker’s operations. It is unknown if any of the money might come from international accounts surrendered to US control by former CEO Scott Tom. Tom, a fugitive from US justice for years, returned to the country last month to face a series of charges connected with AP operations, and lawyers continue to negotiate on his behalf. Absolute Poker was significantly smaller than either PokerStars or FTP when 2011’s Black Friday crackdown occurred. Thus, an estimated surplus pool of $40 million or so might be enough to cover the AP hole. It appears that sister site UB.com (earlier known as UltimateBet) may also be included in the AP remission process, though former UB players have reported mixed findings on whether their UB balances were included. Absolute Poker acquired UltimateBet from its prior owners, Excapsa, in 2007, in one of the shadier deals after to cross the online-gambling landscape. The Excapsa entity itself was a spin-off of another entity called ieLogic, which was owned and operated jointly by a group of prominent poker players, along executives and developers of the Oregon online-security firm now known as Iovation. Absolute Poker later integrated the UB site within its own software, including site-to-site transfer capabilities. Thus, UB balances should also be eligible for remission, assuming overall consistency in this latest refund process. FlushDraw will provide updates on this breaking story, including highlights of the extensive FAQ provided by GCG to help coordinate the remission process. GCG’s remision program involving Full Tilt was fraught with missteps caused largely by the claim administrator’s unfamiliarity with the nuances of the online-poker landscape. The firm now understands many of the unique features of online poker, meaning that the process involving AP will likely take much less time. That can be seen by GCG’s implementation of a brief 60-day window, starting today and expiring June 7, 2017, to file an application for refunds.